Hi everyone! It’s Millie and Walter here! 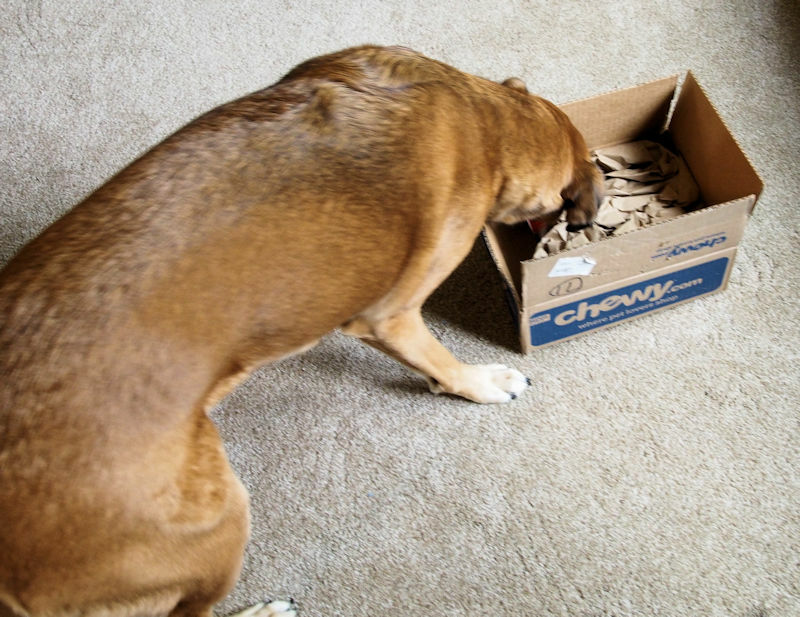 It’s time for our second Chewy.com review of the month. What else was in the box this month? Here’s a look at the second item that was in the box. 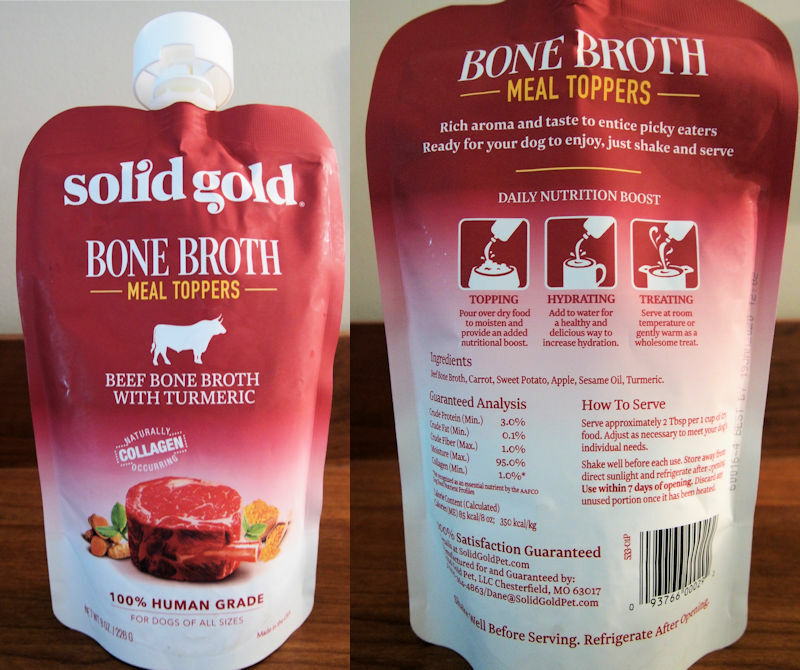 It’s a pouch of Solid Gold Beef Bone Broth with Turmeric Dog Food Topper. There are other flavors of Bone Broth available too. We’ve never seen a container like this before. It smells great whatever it is. 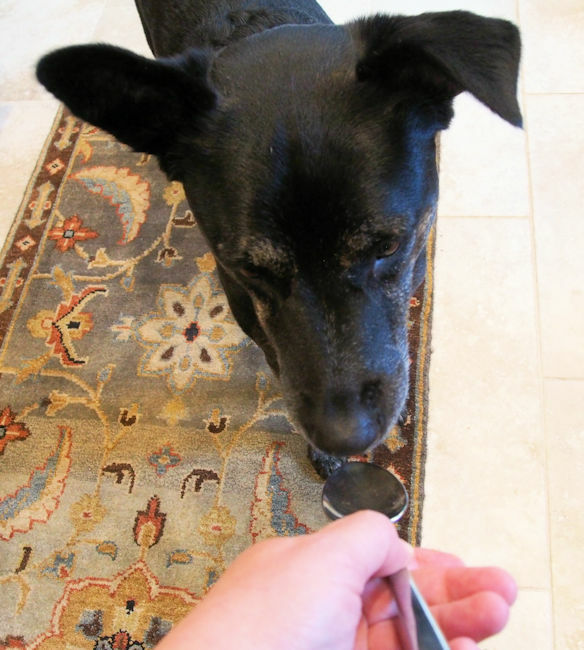 Slow-simmered beef bone broth with turmeric provides an aromatic and flavorful addition to your dog’s meal. Rich in collagen—a protein essential for gut health and the strength and maintenance of bones, joints and nails, which occurs naturally in beef bones. 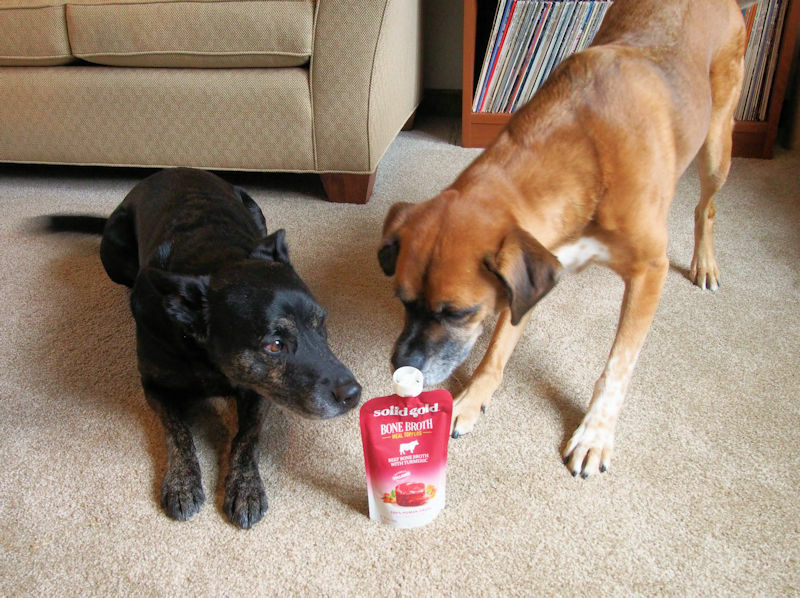 Human grade beef broth is crafted with simple, recognizable ingredients you and your dog will love! Let’s see what we thought of the bone broth. That tastes great. Can I have some more? This really makes my dinner taste even better than before. 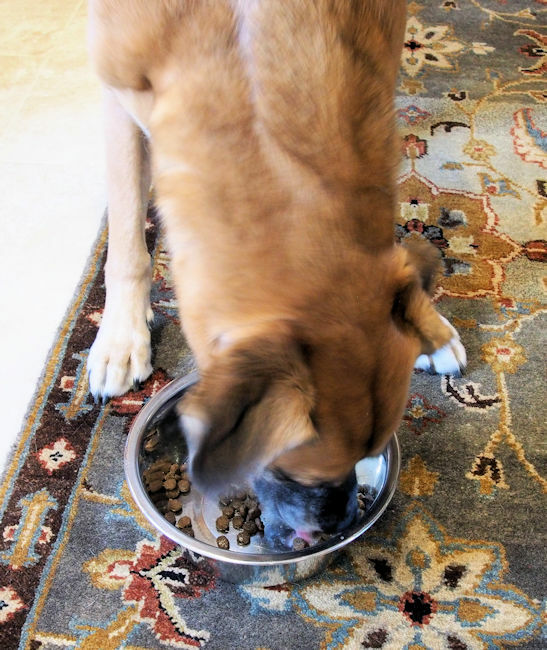 Check out the video to see how we liked the bone broth on our kibble. 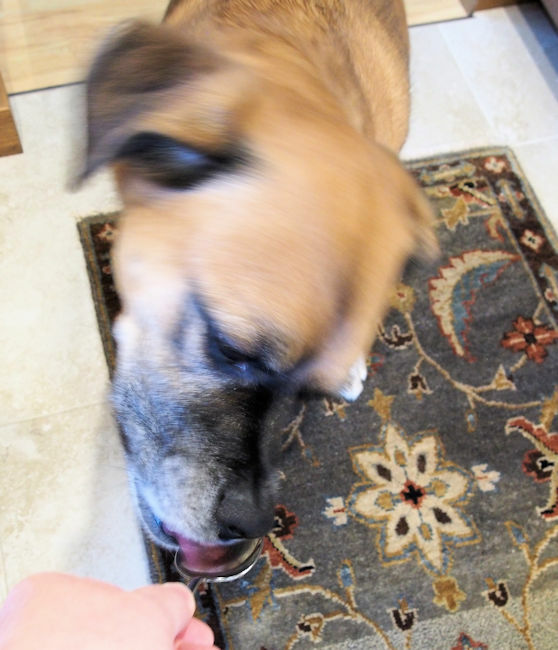 We both loved the Solid Gold Beef Bone Broth and give it 8 paws up (because that is all the paws we have) and we recommend them to all our friends. Our mom wants to say a few words about the packaging. Hi everyone! It’s mom Cindy here. I just wanted to say that this was the first pouch with a pour top that I’ve ever used. The flexible pouch is a bit difficult to handle and when I went to pour some out onto the spoon the first time it came out very fast and Millie got a bit more than the 2 tablespoons recommended (not that I think it would be bad for her). So my word of caution is if you haven’t handled a flexible pouch to pour a liquid out of to be careful it doesn’t handle like a rigid bottle. This month we are joining Koru Bear for the Chewy.com blog hop. Disclaimer: As #ChewyInfluencers we received one Solid Gold Beef Bone Broth with Turmeric Dog Food Topper from Chewy.com to review. We did not receive any monetary compensation for this review and will receive no additional benefits for barking about the product or the company. The opinions in this review are the honest opinions of ours. it’s too cute to see how you tried it with a spoon… that is something we have to learn, we cause a horrible mess with it… can you show us this trick please? That sounds yummy, turmeric is suppose to be good for inflammation. Mommy has been adding it to HER food. We thinks we would like to try it in OUR food. Wow, that bone broth and turmeric are so good for you and tasty too. Great review! Our mom has never used a pouch like that either and wondered how hard it might be to use! She’d probably end up spilling a bunch on the floor … which wouldn’t be bad from our point of view! 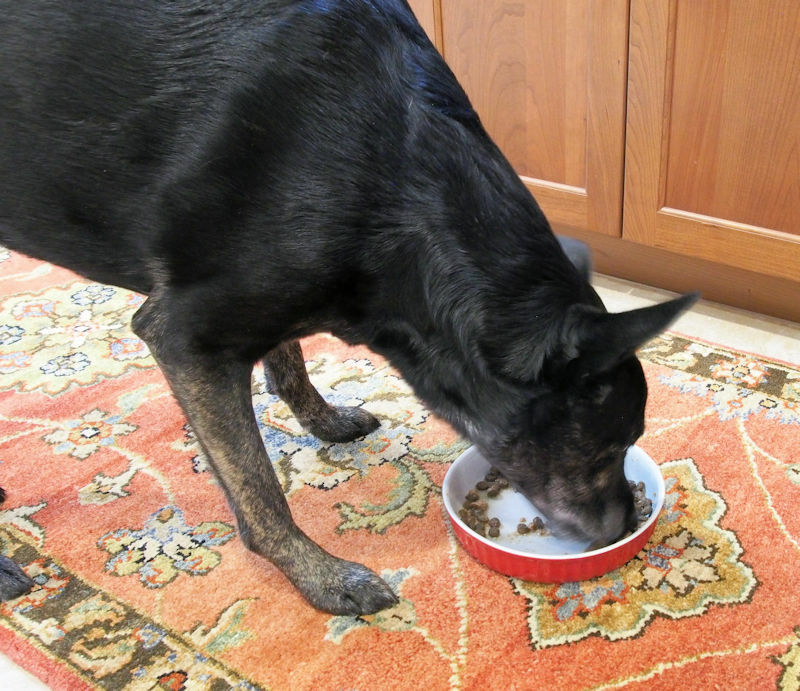 Oh yum…bone broth on dinner would be pawsome. I hope mom gets some for us! We have seen this broth reviewed before and keep wishing Mom would order it for us. We hope after she reads your fantastic review she will finally get us some. YUMMERS!!!!!! I gots to gets me some of that! That’s something different. Looks yummy. I always get to lick the steak juice from the serving plate after dinner. Heavenly! Sounds like a totally pawsome food topper in our books. We use Turmeric at our home for inflammation, Lee thinks it helps her achy joints. Me I just want whatever Lee has! We also always boil our bones and keep the stock in the freezer so we kind of have the product that Chewy is promoting. Millie and Walter you did a fab review. 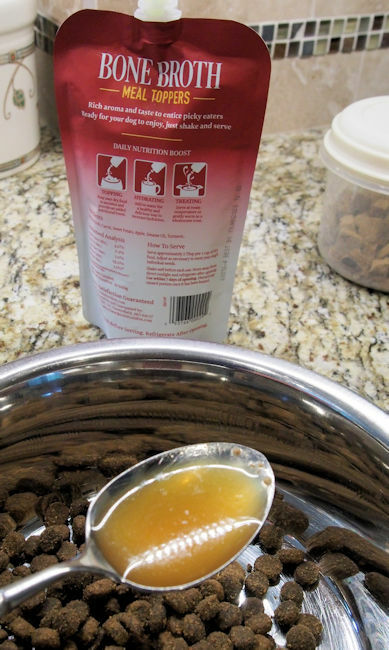 We love bone broth in our house – even my feline sister loves it!